The planet we know today won’t be quite the same one our descendants inherit. In 2005, a 60km long stretch of the earth opened up to a width of eight metres over a period of just ten days. — McGrath, Matt. 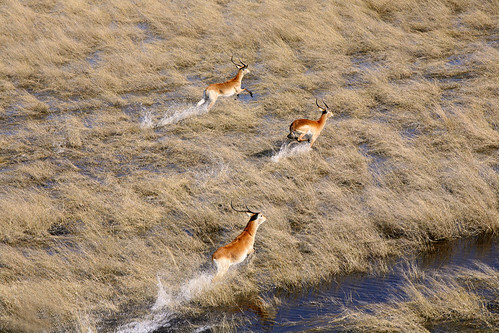 “Africa ‘witnessing birth of a new ocean’.” BBC News, 25 June 2010. The vistas and wildlife of the former British East Africa, sourced from the Flickr photostreams of AnotherOz and Jose Cortes III. Kilimanjaro, originally uploaded by AnotherOz. Victoria Falls, originally uploaded by AnotherOz. Ngong Hills, originally uploaded by AnotherOz. JF6N1652, originally uploaded by Jose Cortes III. IMG_2986, originally uploaded by Jose Cortes III. IMG_3621, originally uploaded by Jose Cortes III. 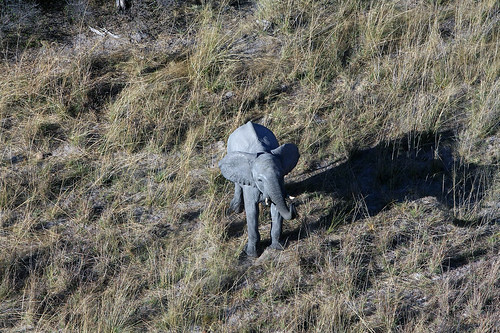 For more aerial shots of African wildlife, see the Okavango, the view from above – 2009 set from Mr. Cortes. 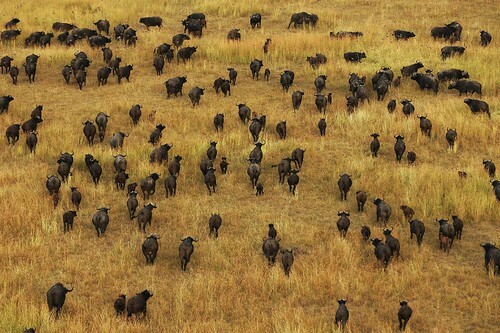 And for more high-altitude aerial photographs of landmarks and landscapes around the world, see the Aerial Shots set from AnotherOz. In The Devil’s Pool, originally uploaded by afric_photos. 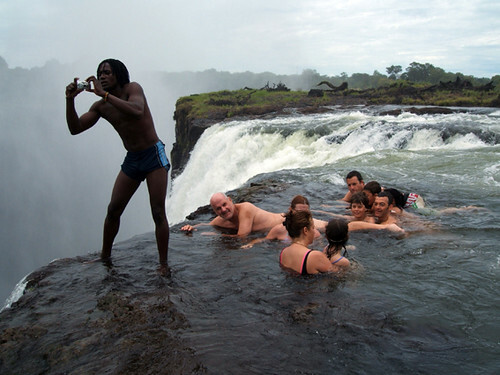 There is a spot in the Victoria Falls (a.k.a. Mosi-oa-Tunya, or “the Smoke that Thunders”) where the brave can test their courage against the slow but unyielding erosive power of the mighty Zambezi River. In the months of September and December, when the river’s water levels are low, it is possible to swim in a natural pool—nicknamed the Devil’s Pool—located at the very edge of the 360-foot falls. A natural rock wall slows the current in that spot and prevents swimmers from being swept over the precipice and into the gorge. At other times of the year, of course, the rock wall is too far underwater for anyone to swim safely. Byron Harmon (1876-1947) was an American photographer from Tacoma, Washington, who settled in Banff, Alberta. Mr. Harmon’s stated ambition was to photograph every major peak and glacier in the Rocky Mountains, in as many moods (i.e. different weather and ambient lighting conditions) as possible. The majority of Harmon’s photographs were taken between 1906 and 1934, shot with a 5×7 view camera with cellulose-nitrate negatives (glass plates being both too heavy and too fragile for mountaineering use). Mr. Harmon had also made several films during his mountaineering expeditions, but most the footage has since been lost or destroyed. The Three Sisters (Big Sister, Middle Sister and Little Sister) near Canmore, AB. Mt. Assiniboine (dubbed "The Matternhorn of North America"), a part of the Southern Continental Range of the Canadian Rockies. Camp on Moraine Lake. Valley of the Ten Peaks (also portrayed on the back of the old Canadian twenty-dollar bill) appears in background. Banff Avenue in Winter. Cascade Mountain appears in background. An encampment of the Lyärhe Nakoda nation (a.k.a. Stoney Indians). Group of Nakoda on horseback. Swimming pool of the Chateau Lake Louise. Bow Lake (elev. 1,920m), east of the Waputik Range. Hungabee Mountain, at the head of Paradise Valley. Hungabee is a Nakoda word meaning "chieftain". Pool of the Government Bath House, Banff, Alberta. See more of Byron Harmon’s photographs and postcard images here. More biographical details about Byron Harmon here, from the Whyte Museum of the Canadian Rockies. A rather daring GA pilot hugs the ground along the Knik Glacier in the Chugach Mountains, Alaska.